Women with a history of infertility have a 10 percent increased risk of death compared to those without reported infertility struggles, according to results of a new study from researchers at the Perelman School of Medicine at the University of Pennsylvania. The study, which examined the association between infertility and mortality as well as specific causes of death, also showed that women with a history of infertility have a 20 percent increased risk of cancer-related mortality. The results of the study were presented this week at the annual American Society of Reproductive Medicine Scientific Congress & Expo in San Antonio, Texas. In the new study, researchers examined data from the 78,214 women enrolled in the National Cancer Institute’s Prostate Lung, Colorectal, and Ovarian (PLCO) Cancer screening trial. Study participants were enrolled between 1992 and 2001 and were followed 13 years, or until study withdrawal or death. Using data collected in that study, the Penn team examined the effect of self-reported infertility (inability to conceive for one year or greater) on all causes of mortality and primary cause of death. 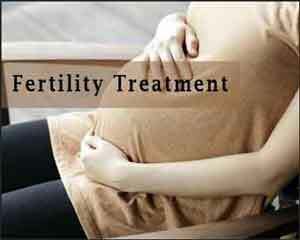 Infertility was reported in 14.5 percent of the study population. At the completion of follow up, infertile women were 10 percent more likely to be decreased when compared to women who were able to get pregnant more easily, though the authors note that women from each group (fertile and non-fertile) died at a similar age. When examining reproductive cancers, the authors noted that while patients with infertility were 44 percent more likely to die of breast cancer, infertility was not associated with an increased risk of ovarian cancer or death from ovarian or endometrial cancers. Additionally, individuals with infertility were 70 percent more likely to die from diabetes, despite both groups of women having a comparable prevalence of diabetes.